What Is the Vision Project? View more photos from the event on Flickr . Delegations representing all 29 of Massachusetts’ public college and university campuses attended a statewide Within Our Sights conference on Friday, October 18, and received a sneak preview of the report. 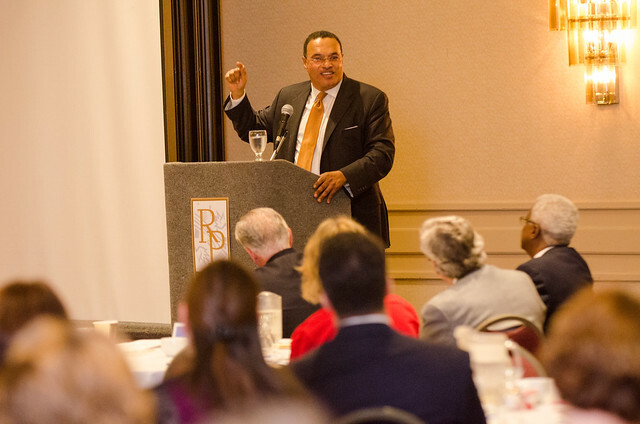 The conference featured keynote speaker Freeman A. Hrabowski III, president of University of Maryland, Baltimore County, and nationally renowned expert on closing achievement gaps, and showcased exemplary campus work that is advancing the goals of the Vision Project. Below are the materials from the conference.